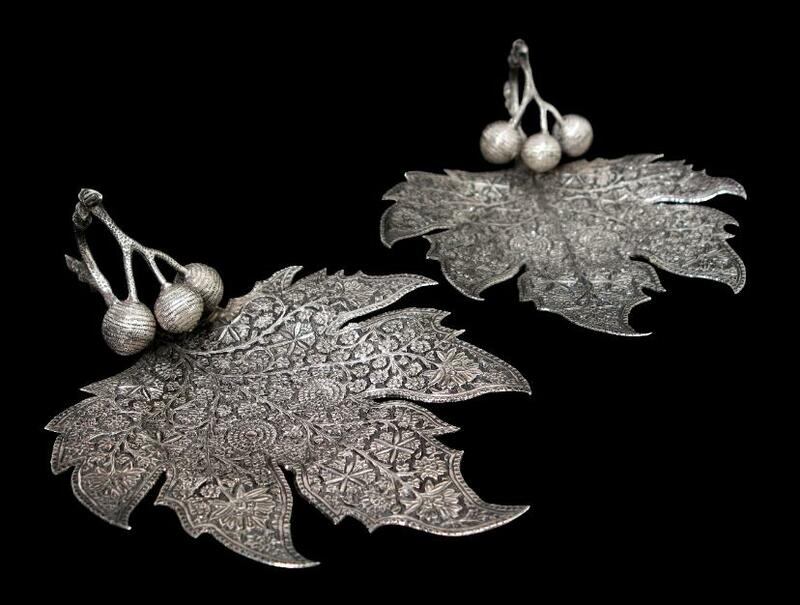 This pair of beautifully chased dishes in the shape of plane tree or chinar tree leaves unusually also incorporates seed pods that have been cast and chased. The handles are in the form of chased twigs that curl around to form loops to serve as the handles. The dishes themselves have been chased with the ‘rosette’ pattern, and at 22 cm in length are unusually large for this type of dish. 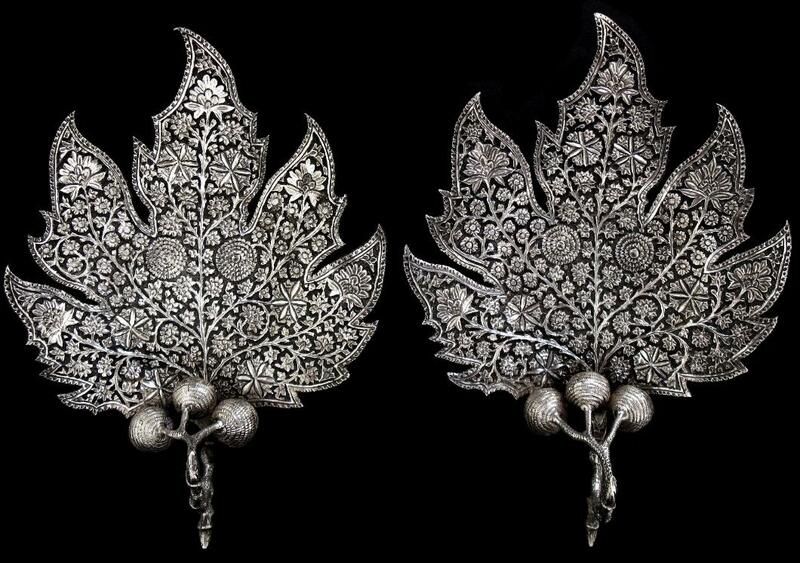 chinar tree leaves frequently are seen in examples of Kashmiri silverwork. Plane trees were introduced to Kashmir by the Mughals which stand today in magnificent groves throughout the region. similar but smaller dishes and without the cast seed pods are illustrated in Dehejia, V., Delight in Design: Indian Silver for the Raj, Mapin Publishing, 2008, p. 167.